The amazing things VR is being used for! Most of us will know about Virtual Reality and some of you will have tried the headsets. Whether you bought one, had a go on one of your friend’s headsets or tried it in store! The headsets are all over the consumer market; however all of them are being sold for the same reason: entertainment! Whether it is to watch 360 degree VR videos or to play an immersed game, the headsets all are being positioned on the shelves of stores to do the same. However there are people out there, the round pegs in the square holes if you like, who are taking this technology to the next level. 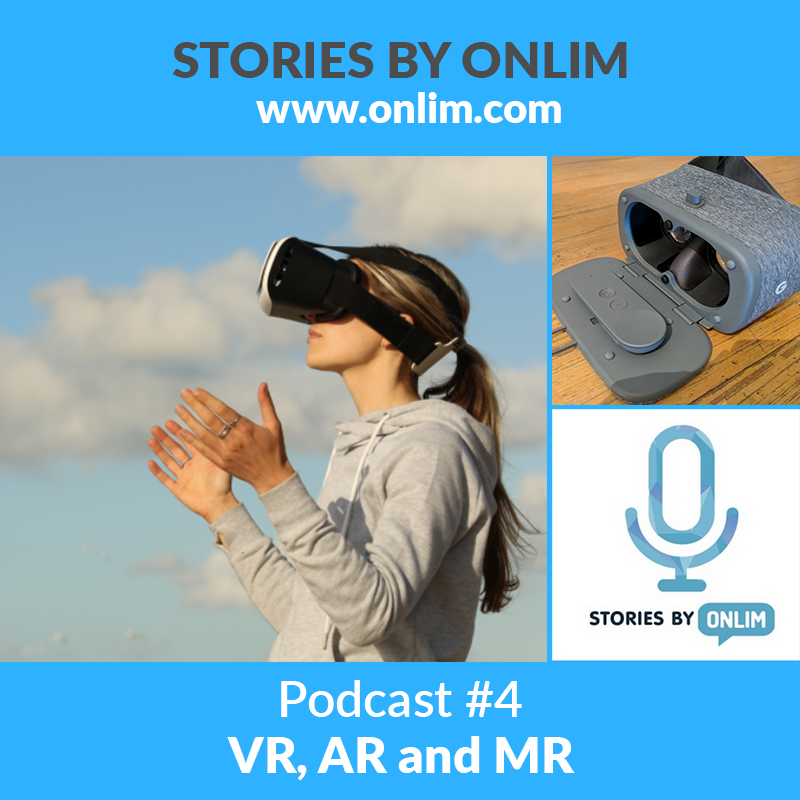 In episode 4 of Stories by Onlim we hear from John Francis Leader who is a Psychologist and Cognitive Scientist. He shares how excited he is about immersive technologies being used in the mental health space. Walter Greenleaf, a behavioural neuroscientist can also see the technology being used all over medicine. We also speak to Rick Barazza who provides Creative Strategy and Design Engineering for Microsoft about the Microsoft Hololens. Last but not least, James Corbett, the Managing Director of Simvirtua in Ireland and his upcoming 3D Camp in Dublin. One particular case is making waves in a very popular topic in mental health at the moment, anxiety. Virtual Reality worlds can put those with anxiety into a virtual world alongside real people, often with similar problems. This helps them to reconnect with worlds they might not have. Also people are discussing the problems and overcoming things together without typing in forums or leaving the house. This can often be a massive step to people with extreme anxiety. There have also been cases where people with broken down confidence have had a VR version of a movie created. They take a movie that they love with their own faces mapped to the main character. And it doesn’t stop with VR. Augmented Reality is also being used in almost every industry you can think of. Lenses like the Microsoft HoloLens and also Google Glass are incorporating immersive worlds into everyday tasks. They are adding new capabilities every day. Get involved in the conversation, tweet us @onlim_com and use the #stories. If you like the podcast leave us a review on iTunes or your podcast app, it helps others like you to discover the show. Automation really isn’t that scary! By Ina|2018-08-09T12:58:56+02:00January 20th, 2017|Categories: Podcast|Tags: abrupt audio, AI, amazing VR, AR, artificial intelligence, augmented reality, chat bots, Chatbots, chris huskins, immersive tech, immersive technology, ina omurchu, mixed reality, MR, MR podcast, onlim, onlim podcast, podcasters, podcasting, social media, stories, stories by onlim, tech podcast, technology podcast, virtual reality, virtual reality podcast, VR, VR podcast|Comments Off on The amazing things VR is being used for! Interested in Social Media & Chatbots? Sign up here, if you want to get the latest news and best tips! YES, I WANT THE GOOD STUFF! P. S. We aren't a huge fan of spam either - so no worries!